Fibroids are non-cancerous tumors that grow in the wall of the uterus. These tumors can cause pelvic pain and heavy menstrual bleeding, as well as bowel and bladder pressure. Fibroids can make it harder to become pregnant for some patients. If you have these symptoms, or are trying to get pregnant, your doctor can send you to our clinic for Uterine Fibroid Embolization (UFE). 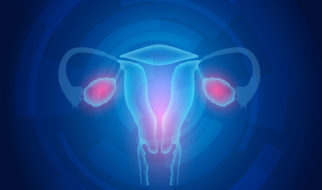 Uterine Fibroid Embolization is a modern alternative to older treatments, like hysterectomies. UFE does not remove the uterus.